Asset management tracking, Key Operator functions on copier/fax/printer devices. Metrix dashboards continually monitor key metrics. These key metrics, which are based on the stated Service Level Agreements (SLAs), represent all facets of the service being delivered. Monitoring real-time metrics allows Novitex to proactively respond to service deficiencies. pbRequest is a complete electronic link between the customers and our service centers. 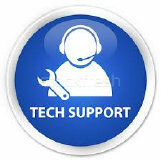 User can complete requests for Copy/Print/Scan/Messenger/ & Handy man services from any internet browser. Users get up to the minute status of any requested task from their PC. Print Audit Facilities Manager™, quickly collect meter reads, and service information for managing fleets of copiers, printers, fax machines, and multi-function devices. a Dashboard, Podtracker, or Job Submission System.